Stylin in St. Louis: Bloggers Who Budget: Winter For Less…. 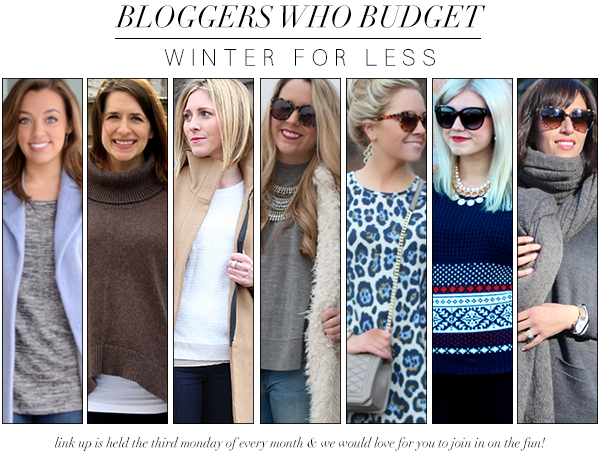 Bloggers Who Budget: Winter For Less…. Hello Monday! Today, an all new bloggers who budget is back! This time, we are styling winter looks for less! This dress has been hidden in my closet for quite some time. I bought it last summer and I wanted to wear in winter too! This swing dress was $40 this past summer! ASOS has so many great swing dresses! They so comfy! Be sure to link up and check out these other amazing bloggers! Love that dress, you look so so cute. What a fun, flirty look! That dress is so adorable! What an adorable dress! Love that you took a summer dress and made it winter appropriate! I love a good leopard and the print on that dress is awesome, especially with it being cobalt! Oh, that's a great print! And I love your fun messy bun too. Love the print on your dress! So great. Adding tights and booties to my dresses is one of my favorite ways to wear them all year long. Such pretty colors in that dress and your hair looks so cute up! Adorable dress! I love the print! such a cute dress! love it with the tights! This dress is soo cute! And i really love your hair in a top knot!! 1, your hair is SO cute! 2, that dress is so much fun! Love it! Very cute dress for winter and that bag looks very Chanel-esque. Have a wonderful Monday! What a super cute dress, and it looks amazing with the booties! Love this! The dress is so cute! I want/need that dress! I just bought my first item from Asos and I'm so excited! Your hair looks adorable too! Amazing dress! I LOVE everything about this look!! So cute! I love finding ways to wear dresses in the winter, even here in New England. The print on that dress is killer! I have those tights too and I love how they're a fun alternative to basic black. Okay, you are the cutest! I love this animal print number! Such a cute dress! Love the blue leopard + the drop waist. Adorable! OMG this leopard dress is so chic! I love how you made it winterized, but I can also tell it will be so cute for spring/summer! this may sound weird, but your high pony/messy bun is adorable! and the outfit of course too!